Click Here. Double your traffic. Get Vendio Gallery - Now FREE! 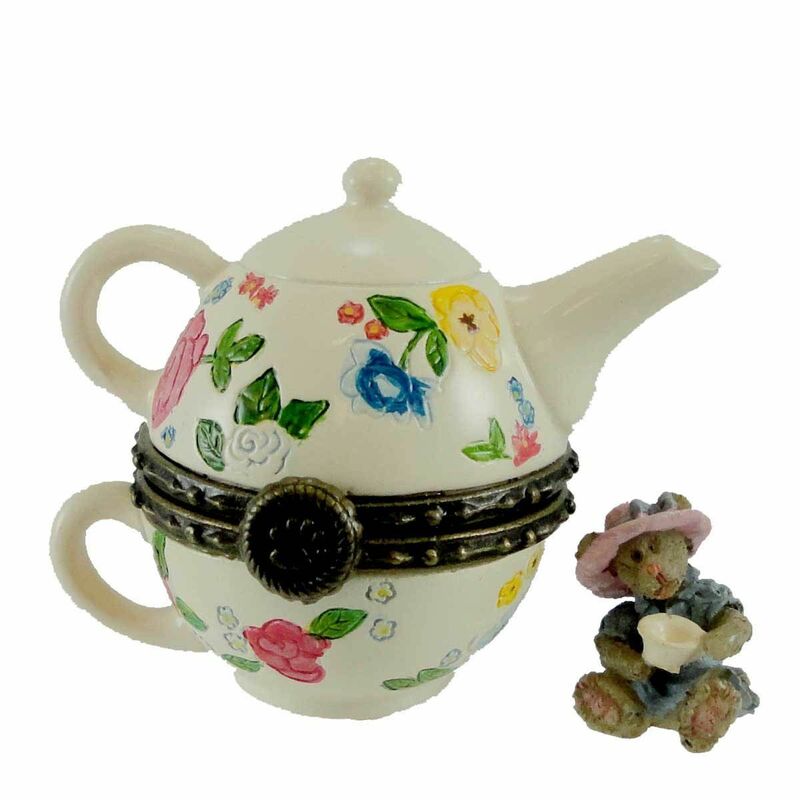 THE BOYDS COLLECTION LTD. Boyds Treasure Box "GRANNY MAE'S TEAPOT WITH CAMMY MCNIBBLE" Boyds Treasure Box Collection So Whattaya Do With These Things? Don't have a place to store those little do-dads, thingamajigs, and whozeewhats? Try Uncle Bean's Treasure Boxes. Cold Cast Resin Hinged Box Boyds Bear Paw Clasp Item Number: #4015204 1st Edition - 1E Aprox. 2" tall Issued 2009 Status: Retired Only available on the Secondary Market New In Original Box **NOTE:** Some boxes may show shelfwear due to age** Shipped from our store inventory. ACCEPT NO SUBSTITUTES! A great addition for a Treasure Box Collector We have many other treasure boxes available Payment Shipping Information ***PLEASE EMAIL WITH ANY QUESTIONS PRIOR TO BIDDING*** PayPal is the accepted method of payment and must be made within 5 days of auction closing. Most items ship within 1-2 business days following cleared payment If your looking for something special.... Please email me with any questions Contact me thru the "Ask Seller A Question" right on the auction listing page. I will get back to you as soon as possible! AND Add us to your favorite's List Adding a Massive Inventory of Older Boyds Bear Products All New Product We are adding new items daily.... Come Back Soon!! Good Luck Bidding and Thanks For Looking! Graphics PrimGraphics 2007 Raggedy Dreams Auction Template Froo www.froo.com Froo Cross Sell, Free Cross Sell, Cross promote, eBay Marketing, eBay listing Apps, eBay Apps, eBay Application FREE! Sellers: Add a FREE map to your listings. FREE!